On Tuesday, Congress leaders in Chandigarh too did set up a stall on a push-cart outside the Haryana Assembly to sell pakodas and take pot shots at PM Modi, and the ruling BJP for the lack of employment opportunities. New Delhi: It was meant to be one of the many protests that Congress leaders have held to take a dig at Prime Minister Narendra Modi for his remark that a person earning a livelihood selling 'pakodas' can be considered employed. On Tuesday, Congress leaders in Chandigarh too did set up a stall on a push-cart outside the Haryana Assembly to sell pakodas and take pot shots at PM Modi, and the ruling BJP for the lack of employment opportunities. But then, a long motorcade stopped by. It was Chief Minister Manohar Lal Khattar on his way to attend the ongoing budget session of the state assembly. He bought some pakodas from them. The swipe came soon after. It was his way, he explained, of helping the Congress which had become unemployed in the state. The Congress had faced a humiliating defeat in the 2014 state elections, reduced from a 40-seat party to just 17. "If anyone is getting employment by selling pakodas, it's a good thing. 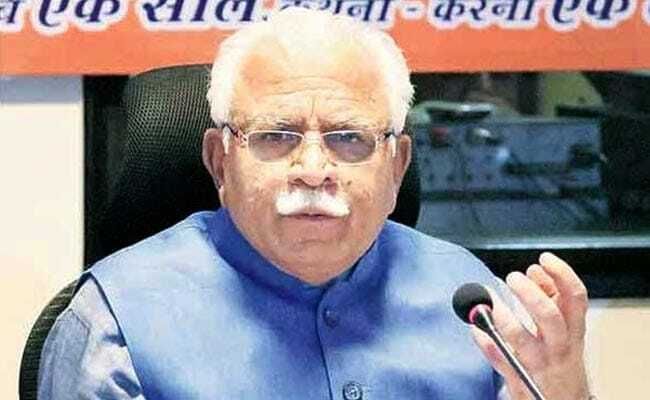 They had become unemployed, but now they have got the pakoda-selling job ... a good thing," Mr Khattar said taking a jibe at the Congress legislators. Health Minister Anil Vij had driven straight into the assembly did not miss the opportunity to take a jab at the Congress either. In the assembly, he joked that if the Congress leaders were going to do this for longer, his department would get the quality of pakodas examined. The food adulteration department reports to the health ministry. The opposition party legislators present on the occasion also included senior leaders Karan Singh Dalal, Kuldeep Sharma, Geeta Bhukkal and Shakuntala Khatak. "The Centre and Haryana governments had promised to create large number of jobs for the unemployed. But now they are assuring 'pakoda jobs' to millions of people looking for work," said Mr Dalal.